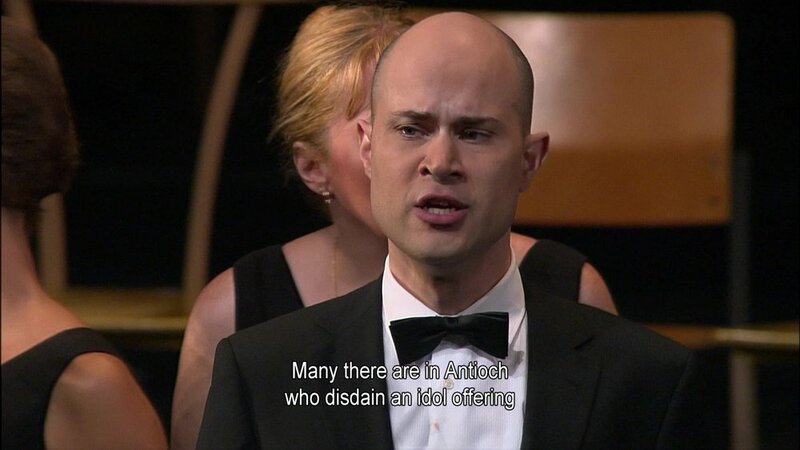 But for all the singers, semi-staging Theodora was hugely different than a typical oratorio concert because everybody had to learn their scores by heart! And everybody also had to act, and act a lot since there are no elaborate sets, props, and costumes to help keep the attention of the audience. 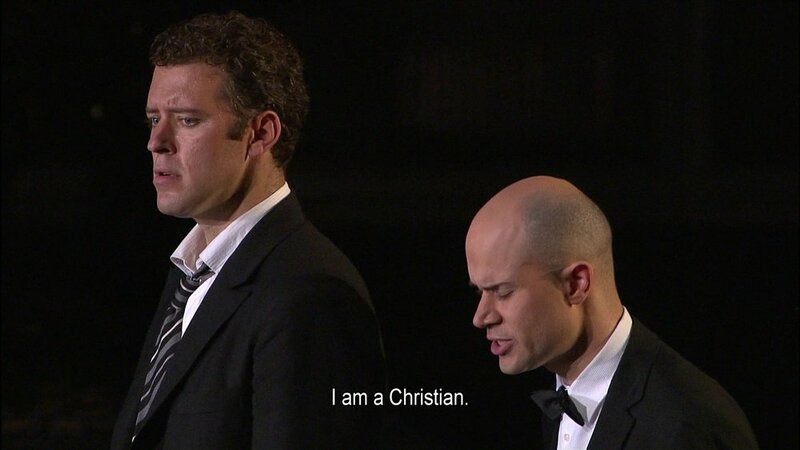 Now when a singer signs on to be a member of the chorus at an opera house, he knows he will be asked to do all kinds of bizarre things. 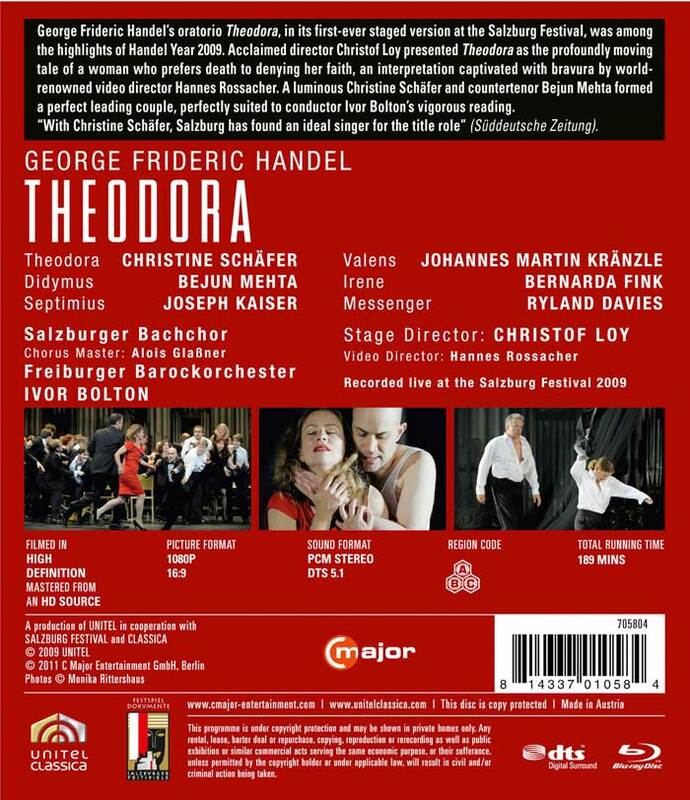 But I suspect this Handel Theodora was a real challenge to the members of the Salzburger Bachchor! Handel also wrote the Organ Concerto in G Minor (HWV 310) for performance with Theodora. As best we can tell, the organ piece was usually performed as a bonus extra, perhaps at an intermission. But Loy incorporates the concerto into his Act 3, where it seems to fit in nicely. 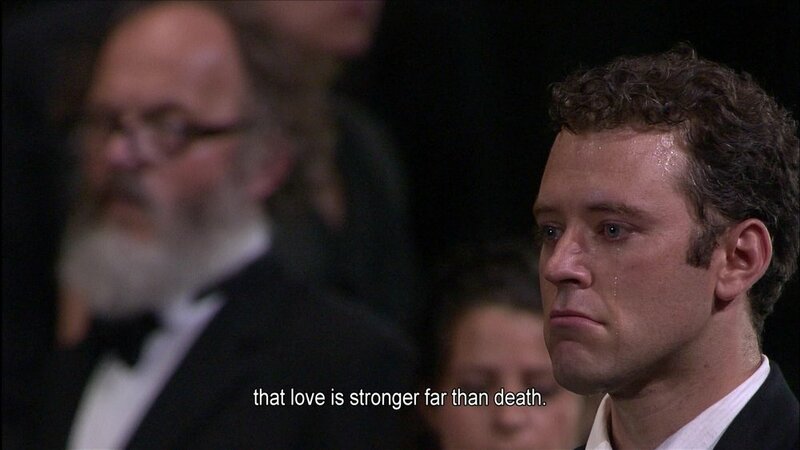 One is reminded of Beethoven’s Leonore music embedded in Act 2 of his opera Fidelio. Septimius (Joseph Kaiser ) is another Roman officer and battle-tested friend of Didymus. Septimius is a loyal Roman, but he feels compassion for the conquered people of Antioch. Instead of forcing them to worship the Roman gods, he asks that “pity” should . . .
And Theodora turns herself in! The weaknesses would all reside in the cheapness of the mis-en-scéne, that does in our view distract from this disc. 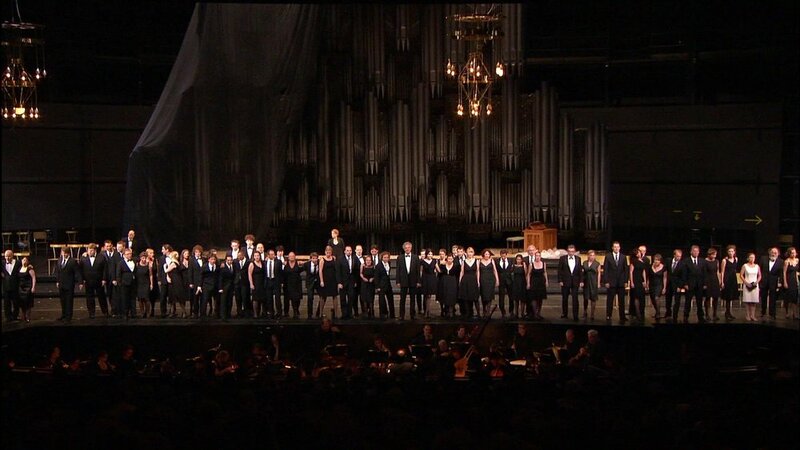 See our story on Handel’s Messiah, staged by Claus Guth at the Theater an der Wein, which we graded A. The Guth Messiah show involves a radical story overlay, something that would not be indicated for Theodora at all, which has a robust story libretto. But Guth’s sets, props, costumes, and personal directing go far beyond what Loy attemped. So we have settled on a B grade for this Theodora. For those willing to overlook the lack of significant mis-en-scéne, the proper grade would be a B+ or even an A-. 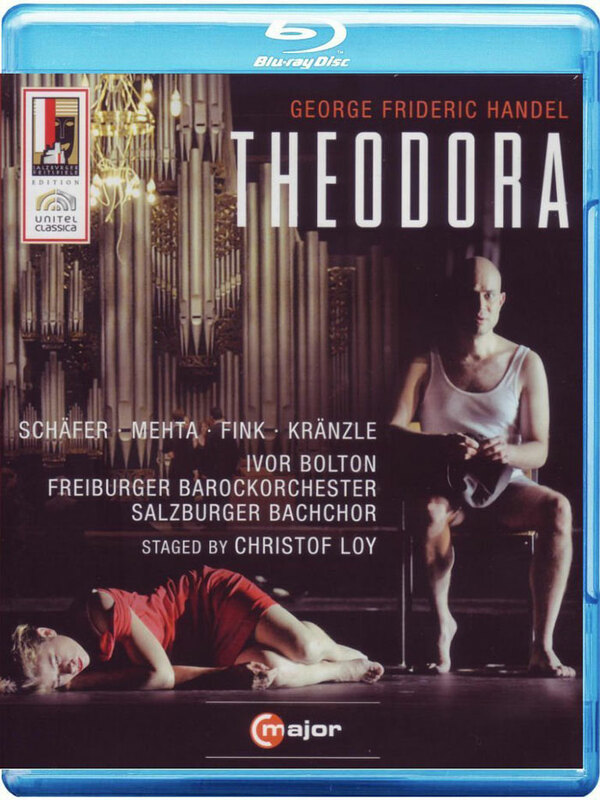 We should also point out that this is to date our only HDVD of Theodora, and that Handel himself considered it his best oratorio. So for true Handel lovers, this may be an essential addition to the library.